An online eye test may seem like a convenient way to check your vision or get an eyeglass prescription but beware, these tests aren’t all they are advertised to be. In fact, they may even be dangerous. 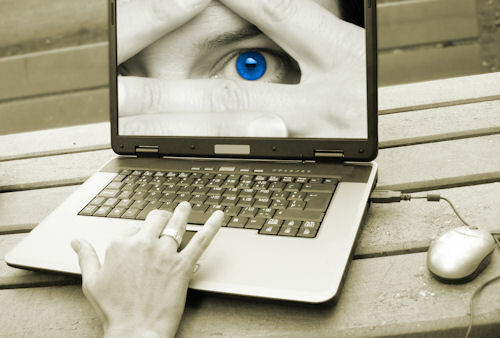 What is an online “eye test” really testing? An online eye test is actually not an eye test at all but just a vision or sight screening- and a partial screening at that. It is designed to measure your visual acuity and refractive error (nearsightedness, farsightedness or astigmatism) and to determine an eyeglass prescription – which is the lens power needed to correct the refractive error in your vision. Given that there is no one with medical training actually performing or checking the accuracy of the test, it is questionable how well the exam does even this. In fact, when an optometrist does a refraction for glasses or contact lenses it also involves some judgement on the doctor’s part. The optometrist will often adjust the prescription slightly based on the patient’s age, occupation or hobbies. The doctor may prescribe a prism in the lenses to help with binocularity and to prevent double vision in those who have deviations of the eye. There is no way an online exam can do any of this. Further, a refraction is only one very small part of an eye exam and if it takes the place of a regular comprehensive eye exam by an optometrist, you put your eyes and vision at serious risk. Just as we need regular medical and dental checkups as a part of preventative health care to prevent disease and maintain our health, we also need regular eye exams. A vision screening test does not suffice. A comprehensive eye exam will examine much more than just how well you see. It will also check for visual processing, color vision, depth perception and proper eye movement. It will measure your eye pressure, examine the back of your eye and look for early signs of eye disease or conditions such as glaucoma, macular degeneration, diabetes, tumors and high blood pressure – many of which threaten your eyes and vision if not caught early. No. 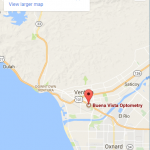 Besides the fact that most eye exams are covered by insurance, the eye exam you are getting from an eye doctor is much more thorough and comprehensive than an online eye test, so you are not comparing apples to apples. The optometrist’s exam uses real equipment and performs a complete and professional evaluation of your vision and eye health. There is simply no comparing this to a self administered test on a computer screen.